Thomas Herbert Victor was born in Mousehole on September 6, 1894, the son of the village shoemaker. He studied at the Art School in Penzance and was subsequently offered a scholarship to study at the Slade in London but was reluctant to leave Mousehole. 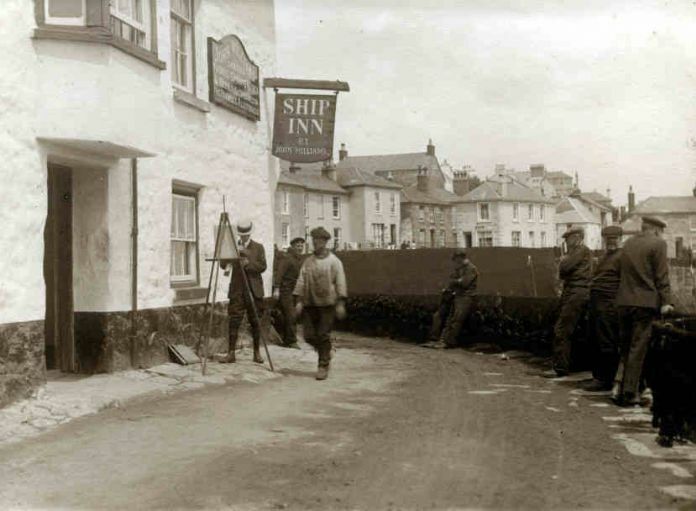 In fact it is said that he never travelled beyond Trurobut his art nevertheless flourished and he gained popularity for his local scenes of fishing villages and local street scenes in Mousehole, Newlyn, St Ives, the Lizard Peninsula and Clovelly. His work now represents a valuable record of life 100 years ago as well as being appreciated for its artistic merit. Victor also produced works under the pseudonym, W Sands as a means of circumventing contractual agreements on his work as T.H. Victor. He had a shop at Mousehole in the 1960s. Thomas Victor died on March 10, 1980 aged 85.